Home Food Promo #MondaysMadeBetter 2018 is back! 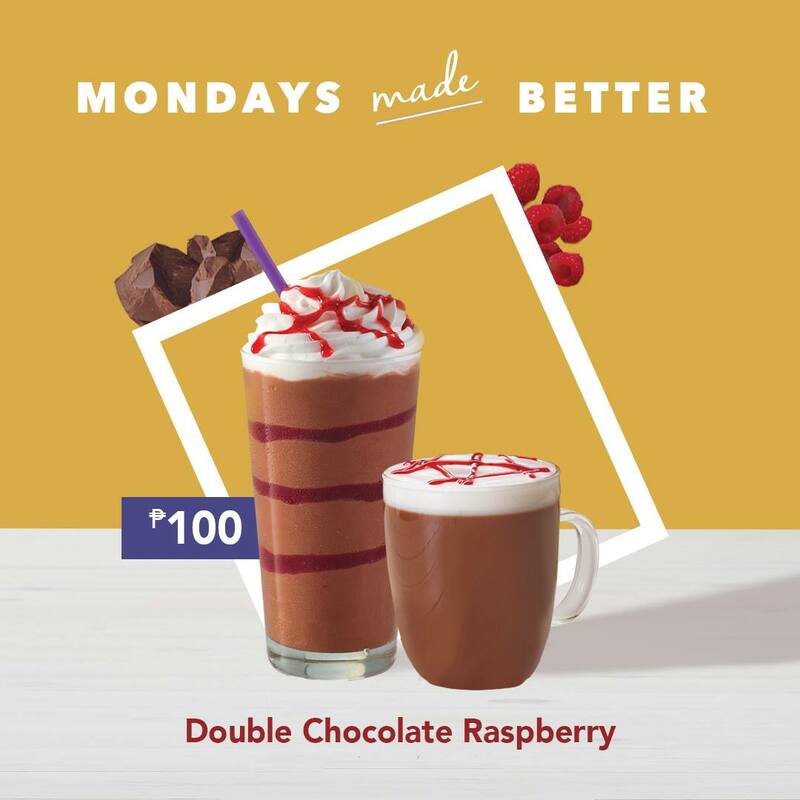 End April with a bang and welcome May with CBTL's #MondaysMadeBetter promo! Yes, it is back! ₱100 ICE BLENDED® 1. Customers can purchase any of the featured beverages for ₱100 only – the whole day (store opening - 11:59PM) every Monday from April 10 - June 5, 2017. 2. ₱100 beverage is applicable to the REGULAR size only. 3. Customers can purchase more than one (1) featured beverage per day. 4. Featured beverages will be announced every Friday on The Coffee Bean & Tea Leaf® Social Media pages (Facebook, Instagram and Twitter) throughout the promo period. 5. Add-ons must be paid on top of the promo price. Regular price of add-ons (NSA, Soy, etc.) applies. 6. Marketing Gift Certificates and beverage coupons may not be used to avail of the promo. 7. Promo is not valid in conjunction with other promos and or discount/privilege cards (ex. Government cards/IDs). 8. Promo is valid in all The Coffee Bean & Tea Leaf® stores, except for the CBTL™ Coffee Bar. DOUBLE YOUR SWIRL REWARDS POINTS! 1. Participating Swirl Rewards card holders will get the privilege to double their Swirl Rewards card points for every purchase of any of our ₱100 featured beverages throughout the promo period. 2. Swirl Rewards card holders may still use the Swirl Rewards points to purchase the ₱100 featured beverages. 3. The Double Swirl Rewards points promo, however, is not applicable when you use your Swirl Reward points to purchase the promo beverages. 4. The Double Swirl Rewards points promo is valid for cash and card purchases only. View full mechanics at this link.